Only available in our favourite black, the fit of these capris has been carefully designed by women to really flatter your shape and features an improved crotch design. Made with quality fabric, these bum-sculpting capris really flatter your silhouette and we've added an extra elasticated waistband to ensure no slippage. These capris are super stretchy for freedom of movement, are made with flat leg seams for comfort and have a stunning shiny stripe design for a strong and confident stride. 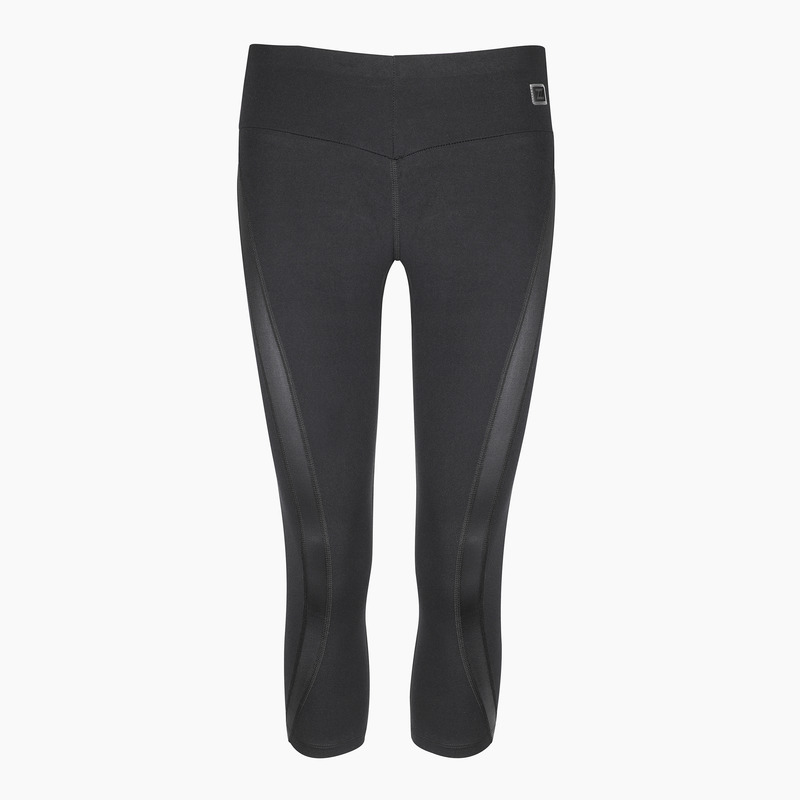 These multi-performance capris are perfect for running, anything inside the gym or other activities such as boxing, cycling, climbing and more. You won't be disappointed, they wash well and perform time after time. "I'm delighted with my new capris. Please do contact me when you launch other products in large size."